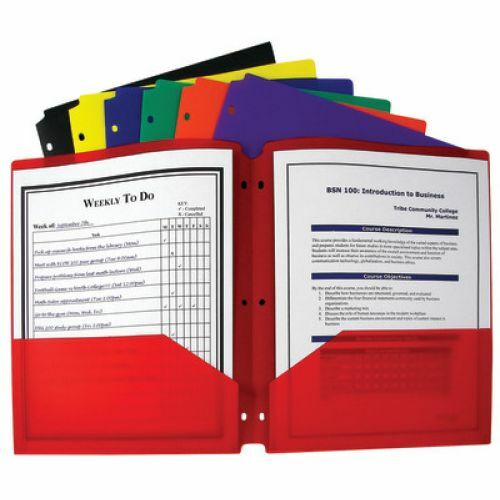 Two-pocket heavyweight polypropylene portfolios/folders hold papers and resist tearing. Features three-hole punch for secure storage in standard 3-ring binders. Cut-outs at top and bottom provide clearance from ring mechanism. Assorted primary colors include red, orange, yellow, green, blue, purple and black. Pack of 10.